Pie in the Sky Contest Winner! Have a look at the news paper cutting below! It's not only jams and chutneys that I enjoy cooking... 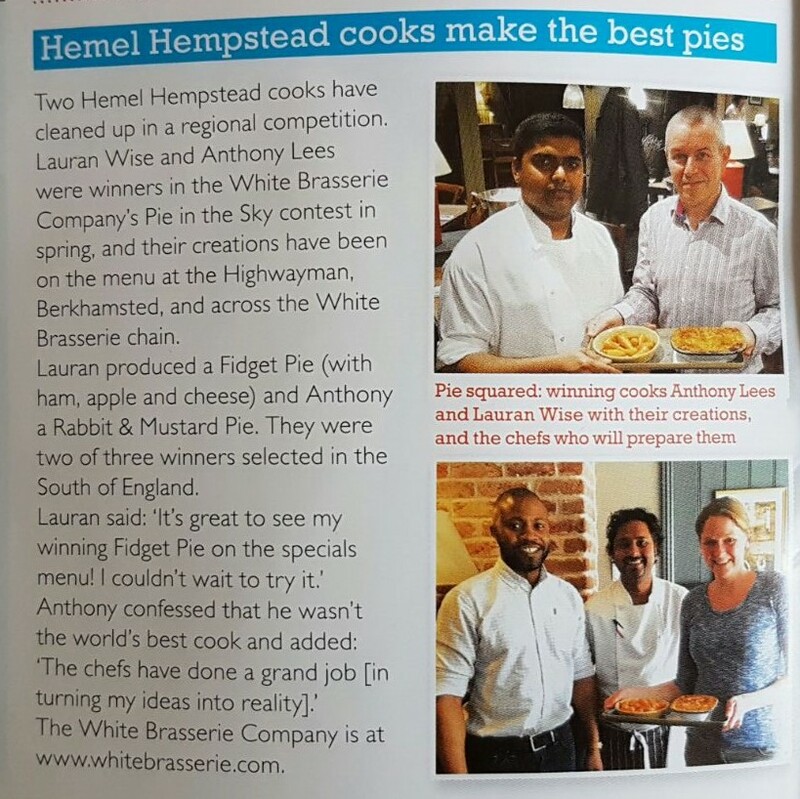 I'm very happy to say I was one of the lucky winners of the White Brasserie Company's Pie in the Sky competition. The public were asked to enter their favourite pie recipe suggestions. I entered 'fidget pie' a delicious combination of gammon, apple and mature chedder cheese. It's my boyfriend Vinny's favourite meal that I cook so he inspired me to enter. My entry was one of three chosen to be made and put on the menu across the White Brasserie Company's resturants across the region.